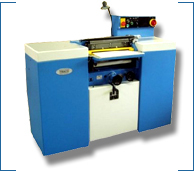 Welcome to Svit USA, Inc.
Svit USA, Inc. is your single-source supplier of quality used converting equipment including used die cutting equipment, used sheeters, used slitter rewinders and used trimmers. Svit USA, Inc. is the exclusive distributor for new Traco equipment in the United States. Svit USA, Inc. is committed to customer service excellence and exceeding your expectations of quality, value and price. 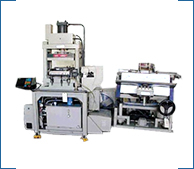 A trusted partner of industry for over 10 years, Svit USA, Inc has earned our commanding industry reputation by offering a wide selection of used converting equipment, used die cutting equipment, used sheeters, used slitter rewinders and used trimmers of unmatched quality, value and price. Svit USA's staff is experienced, knowledgeable and fully invested in your success. Whatever your converting operation, Svit USA, Inc. can provide the right quality used converting machinery for the job. Just contact Svit USA, Inc., tell us what you need and we will find it. Our inventory of used die cutting equipment, used sheeters, used slitter rewinders and used trimmers offer unsurpassed versatility for a wide range of materials and advanced materials converting applications including composite cutting, cutting, die cutting, fabric cutting, gasket cutting, glass cutting and punching. Svit USA, Inc. is committed to customer service excellence and exceeding your expectations of quality, value and price. Please take a moment to review our site and offerings. Our sales representatives have in-depth product knowledge and are waiting to assist you. © 2007 Svit USA, Inc. All Rights Reserved. Svit USA, Inc. is the exclusive distributor for new Traco equipment in the United States.